By the time aid worker Anja Loven found the boy in the streets of Ayo, Nigeria, he was little more than a skeleton. The two-year-old had been abandoned eight months ago, surviving off the few scraps of food strangers had given him, huddling at night under whatever shelter he might find. Extensive emergency care saved his life, and Loven, the founder of the African Children’s Aid Education and Development Foundation, provided him with the basic human care and necessities he had been starved of. The boy survived, his new name reflecting his improbable story: Hope. Hope was accused of witchcraft, his parents abandoning him because they feared the toddler had placed a curse on them. His ordeal reveals a horrifying epidemic of child abuse driven by religious fundamentalism and corruption that has infected the southeastern Nigerian states of Akwa Ibom and Cross River since at least the 1990s. Belief in witchcraft has been prevalent in Nigeria for millenia. Tribal cultures, particularly the Ibibio, often viewed misfortunes, personal or societal, as the result of pernicious magic performed by these magicians. Personal failings, disasters, and tragedies are the direct handiwork of evil spirits and the people harnessing them. However, it was the introduction of Pentecostalism by Christian missionaries in the 1970s that set off this crisis. 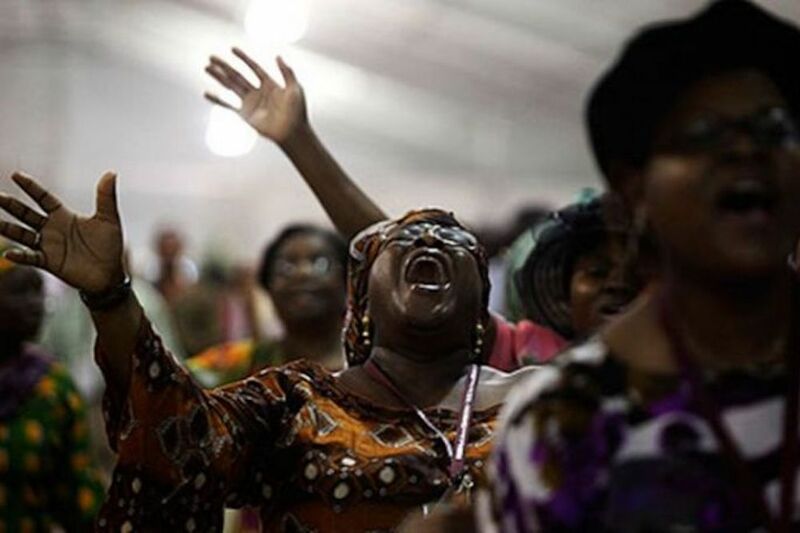 Charismatic preachers led by Pastor Benson Idahosa kindled a wave of religious fervor across southeast Nigeria, growing due to widespread unrest following the brutal civil war some years earlier. By the 1990s, the Niger Delta had more churches per square mile than any other place on Earth. Pentecostalism emphasizes the more mystical elements of Christian doctrine, the ability to speak in tongues and to heal with divine power being chief among them. More radical strains hold that personal misfortunes can be the result of demonic interference from dark entities seeking to destroy the followers of God. In a way, it was terribly well-suited to blend with traditional Nigerian beliefs regarding witchcraft. From its very first days, the apostles of this amalgamated faith taught that witches were a very real threat to their followers. Most offered exorcisms to deliver people from witchcraft or demonic possessions – for a heavy price, often exceeding five hundred US dollars. Many pastors took advantage of their congregations’ fears to accuse countless people of witchcraft, hoping to profit off the exorcisms that would surely follow. Their greed had consequences far greater than they could have imagined. When the AIDS epidemic reached Nigeria, local pastors, who by then had become central advisors in community life, encouraged the afflicted to avoid medical care and instead attend services and root out whatever witches may be causing the epidemic. When political corruption and homicide ran rampant in the late 1990s, ministers ramped up their accusations. Witchcraft became a cultural trope, reflected in Nollywood movies and throughout popular culture. Children were easy targets- unable to defend themselves from accusations and relatively easy to dispose of. Ministers saw an opportunity to grow rich by manipulating religious fears, victims be damned. This metaphysical delusion has devastated a generation of Nigerian children. Over fifteen thousand children have been accused of witchcraft since the 1990s. Accused children are abandoned by their families, left to die on the streets, alone and unable to defend themselves. Many form roving groups of skolombos (street children), banding together to find food and shelter. Others are not so lucky. Children accused of witchcraft have been ritually burned, splashed with acid, mutilated, raped, and killed, often by raving family members or raging neighbors and friends. The Nigerian government has failed to address this crisis. 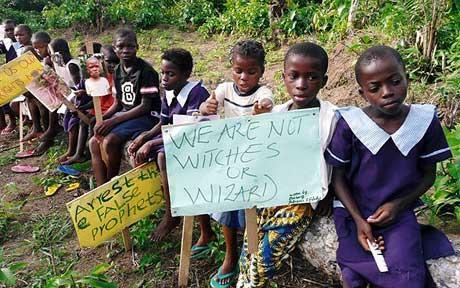 A 2008 law outlawed witchcraft allegations against children, mandating ten years in prison as punishment for such a crime. Ten years later, no one has been prosecuted under this law. Money set aside to address the issue has been siphoned off to the private coffers of state politicians with seemingly little blowback. State police either lack the funds to investigate violations of the law or themselves believe in witchcraft allegations. Today, Hope remains in the care of aid workers, regaining his strength, learning to trust again. But out there, the accused children remain, forsaken, fearing retribution for a crime they never committed. Unless the international community finds some way to address this crisis, hope remains a distant dream for them.